Arcane might is a source of both peace and war. Whether garnered from generations of epics, sorcerous power in the blood or the meticulous use of arcane formulae, arcane magic holds the power to build worlds or destroy them. 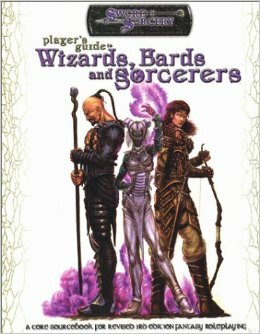 This sourcebook in the player's guide series from Sword and Sorcery studios details the secrets and potential of the masters or arcane magic: wizards, bards and sorcerers.